Looking for Northern Virginia condos for sale? This section of our website gives you access to tons of different condo communities all over the region, as well as in-depth information about each one. Interested in learning more about a particular condo community’s amenities? Parking? Local attractions? Nearby transportation routes? The links to the articles below will provide you with a lot of great information. Down below in this article, you'll find an overview of many different popular areas in this region that have lots of condominium communities. From cozy condos known for their historic, colonial charm in Old Town Alexandria to luxury high-rise condos in Clarendon and Ballston-Virginia Square, the Northern Virginia real estate market has plenty of condo communities for potential buyers to choose from. The sizes, prices, neighborhoods, and amenities offered vary greatly, meaning northern Virginia condos are perfect for singles, as well as families. They are also ideal for individuals on a tight budget, as well as buyers with a tad more money to spend. Whether you have already decided on specific Northern Virginia condos for sale that you’re interested in or you are still simply considering the area, here is a brief look at what you can expect to find in this diverse area that includes Alexandria and Arlington, VA. Despite being a nationally designated historic district, Old Town Alexandria has a cosmopolitan vibe, largely due to the high-end boutiques and top restaurants that share this part of the city with the Torpedo Factory Art Center. Northern Virginia condos in this area have quick and easy access to the King St. and Braddock Rd. Metro, Founders Park, and one of the nation’s oldest continually operating farmers’ markets, the Old Town Farmers Market. Old Town is home to a wide range of Northern Virginia condos, including the older, yet well-maintained and surprisingly affordable options at Potowmack Crossing, Bearings South, and Harbor Terrace Condos. Built in the 1940s, these three communities have been upgraded over the years and offer studio, 1-bedroom, and 2-bedroom floor plans, as well as various amenities. Northern Virginia condo buyers who prefer a property that is a bit newer with a ton of living space and unrivaled amenities and views of the city will appreciate The Oronoco and Carlyle Towers. These two luxury condo communities include several floor plans to choose from, including some with well over 2,000 sq. ft. of living space that are perfect for big families who enjoy the convenience and perks of condo living. West End is one of Alexandria’s fastest growing neighborhoods, thanks to its vibrant entertainment, food, and drink scene mixed in with plenty of gorgeous green space. Convenient commuting is another perk of living in the West End, with I-395 cutting through the neighborhood and the Van Dorn Metro station providing quick and easy access to the nation’s capital. Here, you can walk to everything from locally owned restaurants and bars to shops and several parks, including Armistead Boothe Park and Ben Brenman Park, which serves as the home of a fenced dog park and the fabulous West End Farmers’ Market. There are plenty of amazing Northern Virginia condos in West End, including those in the award winning, master planned community of Cameron Station, as well as Carlton Place, considered by many to be ideally situated in the quietest corner of the city. Parkside at Alexandria, a garden-style condo and townhome-condo community, is another great option that is known for having great amenities, including one of Alexandria’s largest pools and a new, state-of-the-art fitness center. If you are a potential buyer who prefers living in high rise Northern Virginia condos, there are several to choose from in the West End area. Forty Six Hundred, which offers 2- and 3-bedroom floor plans, is one example, while luxurious Northampton Place Condominiums is another. You can also find ultra-modern Northern Virginia condos in West End at Cambria Place. Completed in 2016, these gorgeous condos range in size from 1,600 sq. ft. to more than 2,600 sq. ft. with at least 3 bedrooms and 2.5 bathrooms, high ceilings, and an open floorplan that is perfect for anyone who does a lot of entertaining. Just 3 miles southwest of Washington, DC, Arlington’s Ballston-Virginia Square neighborhood provides the perfect mix of suburban living with big city amenities. Here, residents are rarely more than a 5-10 minute walk from the Ballston Metro station and enjoy the perks of having at least 70 restaurants and bars within walking distance. There are also plenty of shops, service providers, and parks, such as Hayes Park and the recently revamped Quincy Park, in the area, making it a neighborhood where a car is optional. In the Ballston-Virginia Square neighborhood, most condo communities are located in high-rise buildings that offer endless amenities and mesmerizing views of the city. Ballston 880 and AltaVista Condominiums, which is conveniently situated above the Ballston Metro station and an enclosed skywalk away from the recently renovated Ballston Common Mall, are just two of the communities potential buyers have to choose from. If your goal is finding Northern Virginia condos for sale with lots of amenities, the condos at The Residences at Liberty Center are definitely worth looking into. Condos range in size from 691 sq. ft. to almost 1,600 sq. ft. and residents have access to countless amenities, including an onsite professional dry cleaning service and a rooftop pool that looks out over several national monuments. Considered by many locals to offer the perfect blend of city and suburban living, Arlington’s Clarendon-Courthouse neighborhoods are known for their “urban village” feel. This area of Arlington sits right on the Metro’s Orange Line and is home to a variety of mega-chain stores and locally owned businesses and restaurants that give residents tons of choices for dining, entertainment, and shopping. Additionally, Northern Virginia condos in this area have easy access to Clarendon Central Park, which serves as a concert venue and hosts a seasonal farmers market, Hayes Park, and the Clarendon Dog Park. Northern Virginia condos for sale in this part of Arlington range from cozy and surprisingly affordable, such as those at Cardinal House, to unique, luxury high-rises, such as the condos at Arc 3409, where gourmet kitchens, floor-to-ceiling windows, exposed galvanized steel duct work, soaking tubs, and an open layout are the norm. At Arc 3409, residents also have access to 24/7 concierge services, a state of the art fitness center, and a rooftop lounge that overlooks the Potomac River. Clarendon 1021 is another great condo community in the Clarendon-Courthouse neighborhood that provides lots of upgrades and amenities. Home to The Village at Shirlington, Arlington’s Shirlington neighborhood puts residents within walking distance of endless shopping, dining, and entertainment options, as well as the Metro station. Here, residents can take full advantage of the numerous chain and locally owned restaurants and stores, boutiques, an AMC movie theater with seven screens, Signature Theatre, and a 57,000 sq. ft., high-tech branch of the Arlington Public Library. In addition to its urban appeal, residents of Shirlington condos love having easy access to 11.5 acre Shirlington Park, which runs along the Four Mile Run Trail and has a separate, fenced in dog park. The Shirlington neighborhood is filled with a variety of Northern Virginia condos for sale that have tons to offer potential buyers. With units that offer as many as 4 bedrooms and 3.5 bathrooms, The Townes of Shirlington can accommodate larger families who appreciate the convenience of living above 5,800 sq. ft. of retail space. On the other hand The West Village of Shirlington offers smaller 1 and 2 bedroom condos along with extraordinary amenities, such as a private movie room, a sports pub, a library with coffee bar, and gorgeously landscaped garden and picnic area with a children’s playground and tennis and basketball courts. Although Arlington’s East Falls Church neighborhood does not quite provide the walkability or numerous nightlife options found in the neighborhoods above, it still has a lot to offer potential buyers, including a location that is just 9 miles from the nation’s capital. While some Northern Virginia condos are situated within walking distance of the East Falls Church Metro station, those that aren’t tend to be just a short walk from the public bus service. There are plenty of restaurants, shops, and service providers in the area, as well as several schools. Here, it is easy to find high quality parks with playgrounds, open fields, and walking trails, such as Benjamin Bannekar Park and Tuckahoe Park. East Falls Church Park, which is adjacent to the W&OD Trail, offers more than enough green space for playing outdoors. There are several Northern Virginia condos to choose from in the East Falls Church area, such as The Madison, an 100-unit, mid-rise building with condos that range in size from 800 sq. ft. to around 1,300 sq. ft. Falls Station Condos, which provides immediate access to I-66 and is within walking distance of the Metro station is another great option, especially for commuters. Park Towers is a condo community that will appeal to potential buyers who enjoy spending time outdoors. It is ideally located within walking distance of all 11 city parks, as well as the State Theater, Creative Cauldron, and the Saturday morning East Falls Church Farmers’ Market. There are a lot more Northern Virginia condos for sale in other areas than the ones we’ve covered in this article. The articles above cover a lot of these communities, but you can also click on the “Advanced Search” button on top of this page and search condos in any area you like. Whether you are relocating to northern Virginia or already live in the area and are looking for a new condo, you are sure to find what you are looking for in this area's ever changing real estate market. Schedule Viewings for Northern Virginia Condos for Sale! Call me at 703-462-0700 or email me at DarrenRobertsonHomes@gmail.com to set up a time to see one of the many properties that are currently available. It’s important to work with a Northern Virginia real estate agent who sells a lot of condos and can help you navigate the key contract differences between these types of properties versus detached single family homes and townhomes. Thinking of Selling Your Northern Virginia Condo? 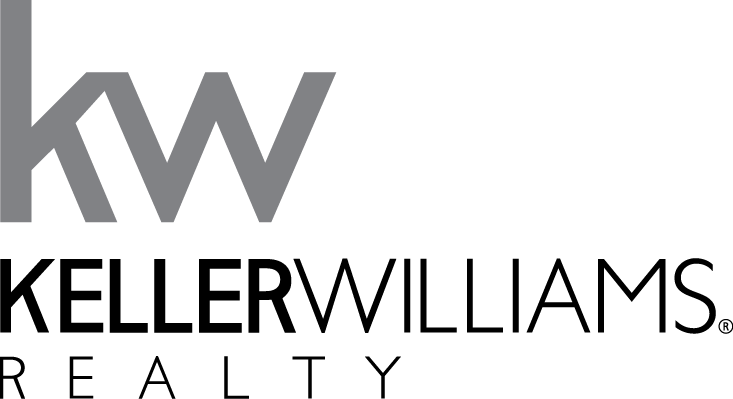 Contact me to request a free property valuation. I’ll do an in-depth analysis of your property, which will give you a good idea of how much you could sell it for in the current market. Two level end townhouse w/loads of windows & light! Needs TLC. Lovely fenced patio area. THIS IS AN AMAZING, SECLUDED LOT WITH TREED VIEWS and CARPORT! SOLD AS-IS.